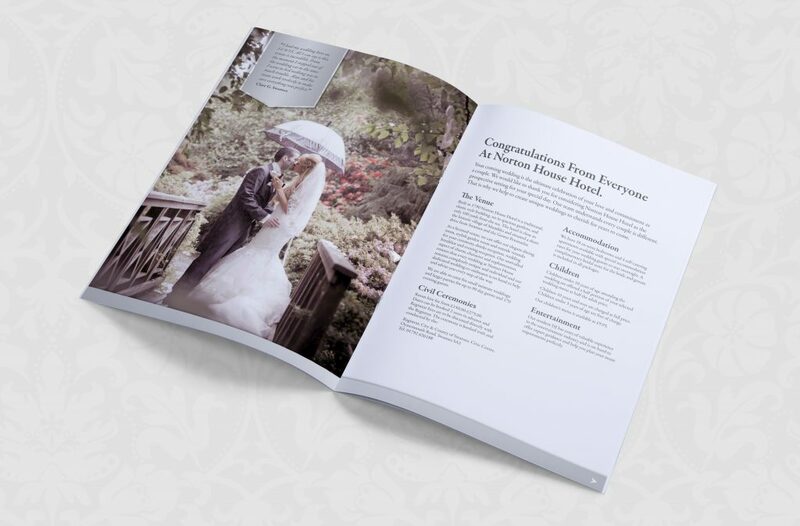 We can tackle anything from business cards all the way to full wedding brochures! 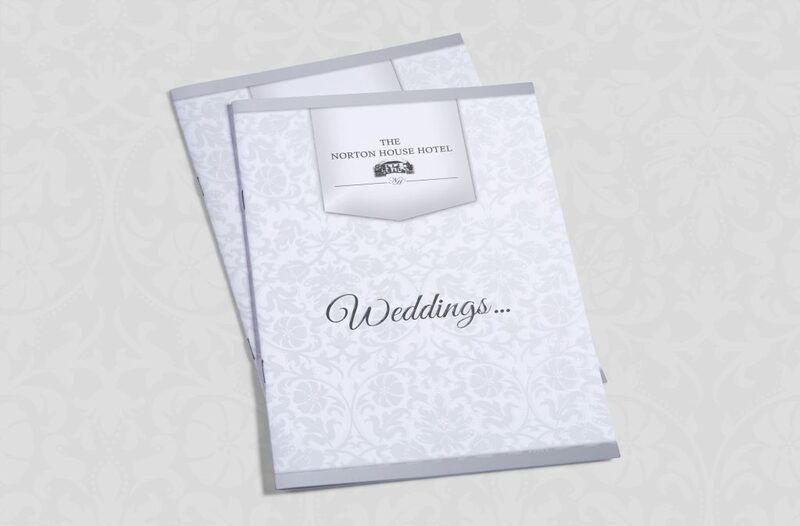 We designed and printed this sleek wedding brochure for Norton House Hotel, Mumbles. It even has a spot gloss design on the cover.